Office: Max Gluskin House, 150 St. George Street, 200. Phone: 416-978-7134. Fax: 416-978-6713. Office: University of Toronto, Mississauga, 3228. Phone: 905-828-3907. Diego Restuccia, Dennis Tao Yang, Xiaodong Zhu, "Agriculture and Aggregate Productivity: A Quantitative Cross-Country Analysis", Journal of Monetary Economics 55 (2) (2008), 234–250. Loren Brandt and Xiaodong Zhu, "Redistribution in a Decentralized Economy: Growth and Inflation in Reform China", Journal of Political Economy 108 (2000), 422–439. 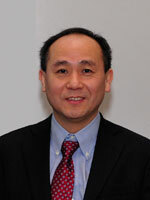 Xiaodong Zhu, "Optimal Fiscal Policy in a Stochastic Growth Model", Journal of Economic Theory 58 (1992), 250–289. Dean's Excellence Award, University of Toronto Mississauga, 2015. Keynote Speaker, International Conference on Chinese Economy, Hong Kong Institute of Monetary Research, 2013. Dean's Excellence Award, University of Toronto Mississauga, 2013. Lynde and Harry Bradley Foundation Fellowship, 1990.